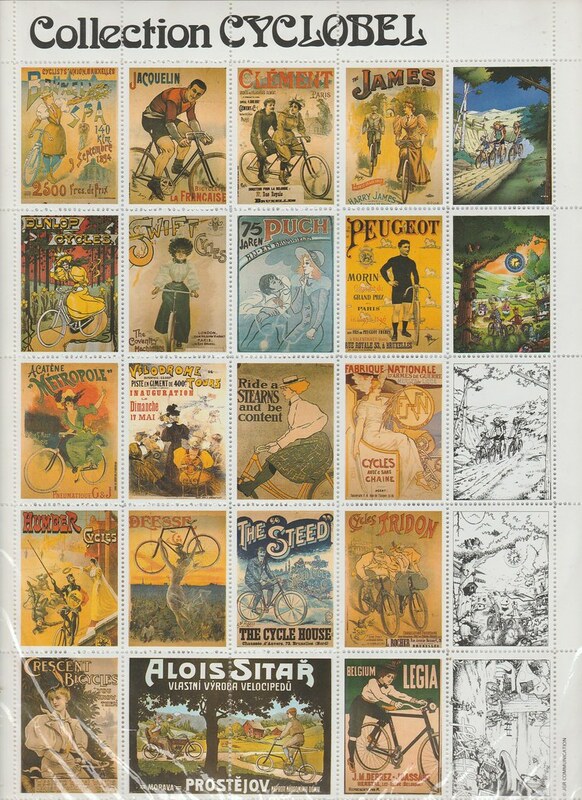 Here is an interesting sheet depicting various poster stamps advertising bicycles. Cyclobel seems to have been a Belgian bicycle company that has since ceased trading. The far right-hand strip shows cartoon characters Flik and Flak. They were developed to teach children how to tell the time by Swiss watch manufacturer Swatch and their children's division flik flak. The copyright in the margin shows JGR Communications, a Canadian marketing company. Always admired this sheet but been beaten at auctions!